Sign up for the “Mini Taste of Camp” program this fall. For children 3-5 years of age from August 6 – 9, 2019. It’s a new adventure every day! 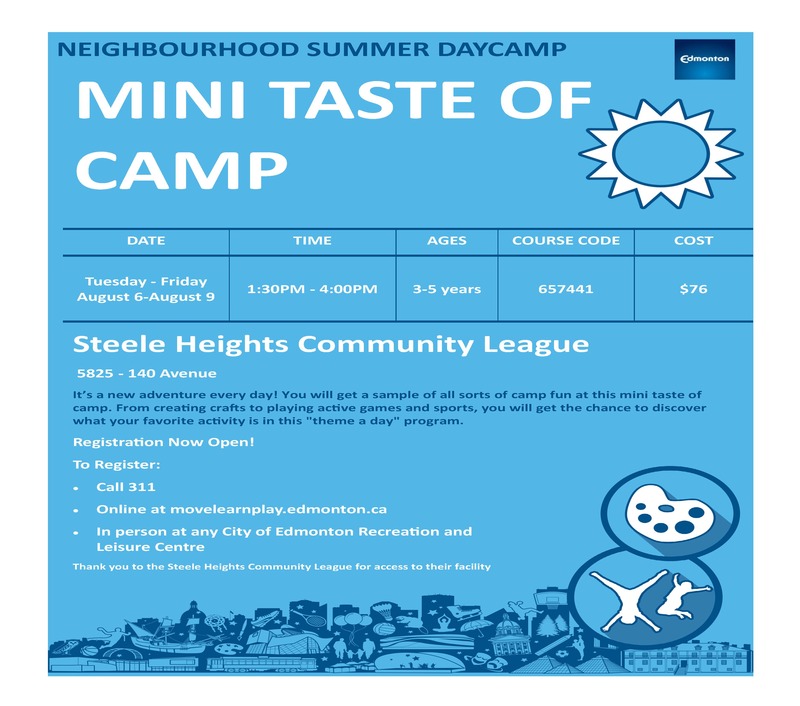 They will get a sample of all sorts of camp fun at this mini taste of Camp. From creating crafts to playing active games and sports, they will get the chance to discover what their favorite activity is in this “theme a day” program.